The goal in the world of A Quiet Place appears to be staying completely silent. Some kind of monster looks to hunt whoever makes any kind of noise. The family we follow throughout the trailer and eventually the film have already created a completely safe home in a cabin in the woods with what appears to be some kind of sandy material for walking outside and in a creaky farm. Even the Monopoly game that is played in the trailer is being played with pieces of cloth. Obviously, the silence can not stay forever, and something happens which causes the monster (or monsters?) to hunt down the family. 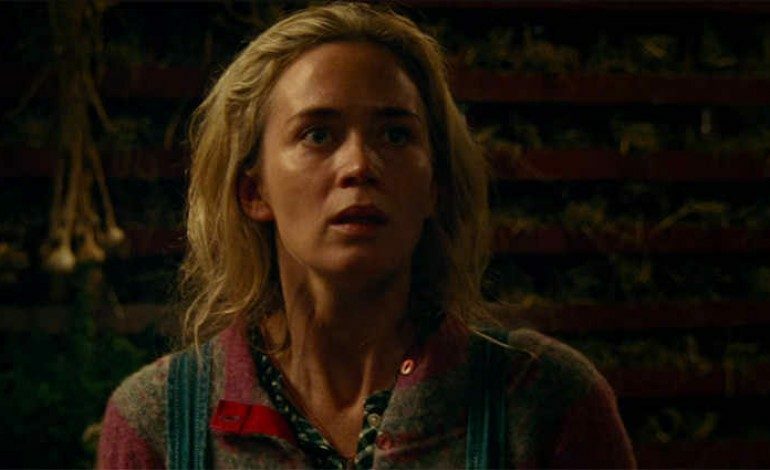 The film features a small yet strong cast including Emily Blunt (Sicario), John Krasinski (The Office), Noah Jupe (The Night Manager), Cade Woodward, and Millicent Simmonds (W0nderstruck). Krasinski is directing and writing the film, and it is set to release April 6th, 2018. If the film is as creepy as the trailer, we will be fairly excited to see what else Krasinski can provide to us.